Use 14GW Heavy Duty Dog Fence Boundary Wire to add additional wire to increase your dog fence area or replace old dog fence underground wire. 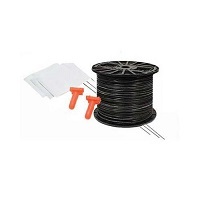 This dog fence boundary wire will compliment the wire with your existing in-ground pet fencing system. 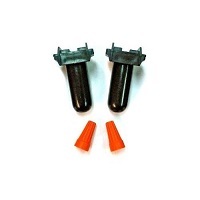 Heavy Duty Dog Fence Boundary Wire Kits include Boundary Flags. 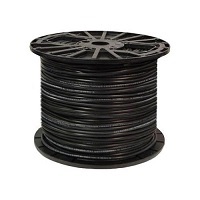 This is ONLY 500 Feet of 14 Gauge Boundary Wire for an Underground Dog Fence System. Should you need additional Underground Dog Fence Splices you will need to purchase SPLICE-14G. SPLICE-2 will be to small for the 14-Gauge Wire due to it being thicker. 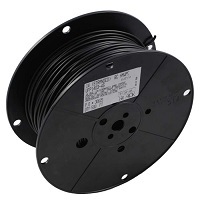 If you need additional wire and flags, we also offer two sizes of boundary kits, the BD-14K includes 500 feet of 14-gauge wire, 50 flags and 2 splices, the BD-14K-1000 includes 1,000 feet of 14-gauge wire, 100 flags and 2 spices. You can also purchase dog fence boundary wire and flags separately so you can get exactly what you need. Use the guide at the bottom of the page to determine the amount of wire needed to enclose your property. Our dog fence boundary wire can be used with any pet containment system. Therefore, one would need approximately 2,640 feet of wire to enclose the perimeter of a 10 acre area. You will need additional wire to run from the transmitter to the perimeter and/or for any interior loops, etc.